Posted on August 7, 2014 by Kyle Gabhart Posted in Marriage Renewal	. As we shared in Part 1 of the “How to Save your Marriage” series, we recommend a phased approach to marriage renewal. This post explores that first phase. Whether you are renewing your marriage to avert an apathetic decline or you are rebuilding after a near-collapse of your relationship, the first phase is critical. During those forty days, you need a clear set of goals and practical actions that you and your spouse can take to put your marriage restoration on a solid footing. Like any endeavor, by establishing and articulating goals it crystalizes your focus and builds a sense of urgency. During your first forty days of renewal, the two of you will want to identify a set of goals to achieve. Some of these goals will be unique to the particular challenges faced in your relationship. Others address more general issues which we found to be common amongst many couples. 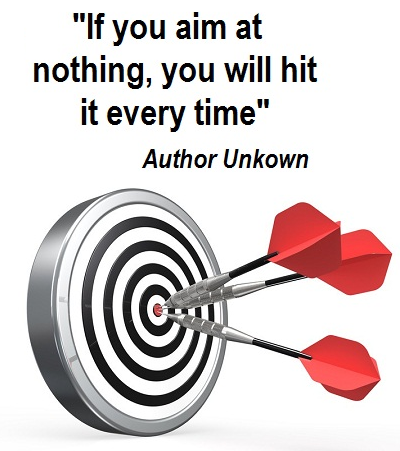 Of course none of these goals will amount to anything if you don’t put them into action. Identifying practical actions to rebuild your relationship is essential. There’s a long list of potential actions the two of you could choose to take, but we identify three common categories here. 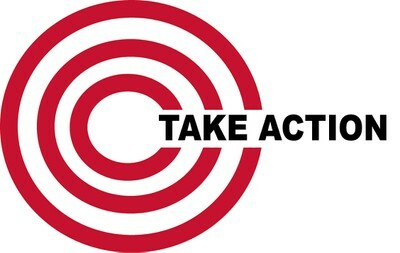 Action 1: Clean house – A lot of factors contributed to the problems in your relationship. One step you want to take is to clear out any negative influences that are holding you back (alcohol or drugs, prioritizing other relationships, bad communication patterns, toxic relationships, etc.). 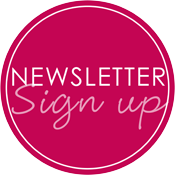 Action 2: Fresh start – Establish new patterns and routines to change the dynamic of your marriage. The tone and the tempo of your interaction must change. Open communication is a necessity. Prioritizing time together is essential. Grace and love must be the guiding principles of your union. Finally, daily and persistent prayer makes the whole thing work. Action 3: Have fun – Your renewal won’t last if its all about work and sacrifice. You’ve also got to have fun together. Especially during these first forty days you need lots of time together. Time to talk, laugh, play, and recapture the friendship you had when your relationship first began. Make it real. Make it practical. And give yourselves some grace and understanding as you work together to walk out your renewal day by day. 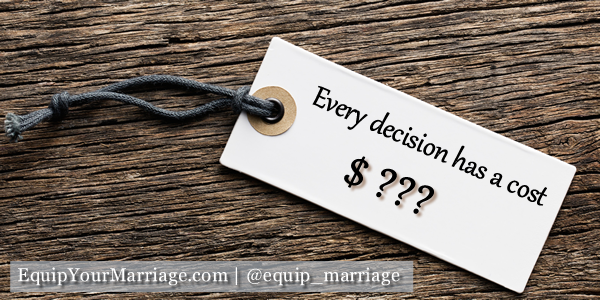 If you want to save your marriage, you have to fully commit to the process. The first forty days are intense and require a tremendous degree of dedication. Through your combined efforts and a dependence on God, you will establish invaluable routines and a firm foundation for your new relationship. The next phase – “Healing and Rebuilding” will involve a greater focus on rebuilding trust and healing the wounds from the past. For now, enjoy the excitement and simplicity of this initial phase of renewal. The journey to restore your marriage has just begun! 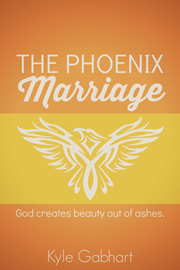 The Phoenix Marriage – Your most important earthly relationship can be restored, renewed, and reborn. God creates beauty out of ashes. Tags: communication, marriage renewal, quality time, second chances	. 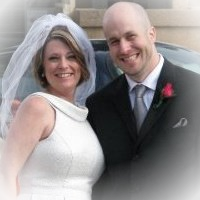 Posted on June 26, 2014 by Kyle Gabhart Posted in Marriage Renewal, Our Story	. Trust. Its the cornerstone of any relationship. It holds soldiers together in foxholes and knits hearts together in marriage. The bond of trust is sacred and precious – until it’s broken. What do you do when you cross the line that you swore you would never cross? How do you continue in a relationship when your spouse breaks your heart, trampling on the vows he or she promised to keep? Whether the result of infidelity, abuse, addiction, or neglect, the loss of trust in a relationship is devastating. And while the prospect of a bright future together looks dim, there is hope. Rebuilding trust in your marriage is hard, because wounds heal crooked. My wife and I are 18 months into our own journey of renewal. 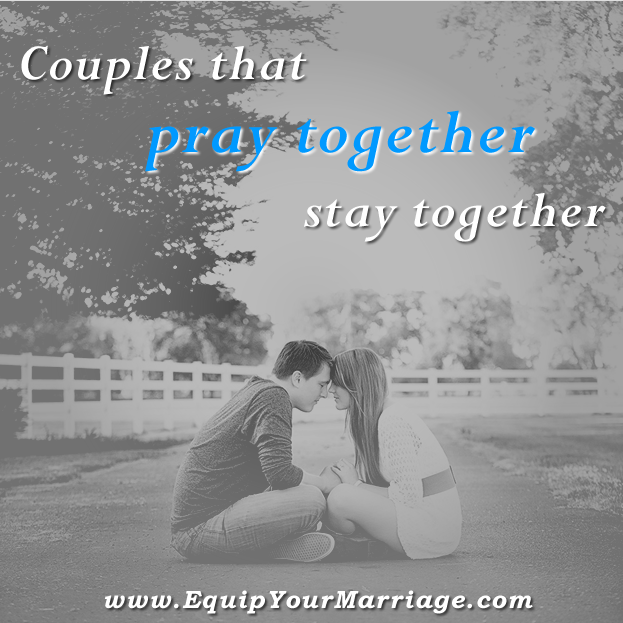 Along the way, we have been blessed to walk alongside other couples. Some are further down the road than we are and others have just recently begun their renewal process. 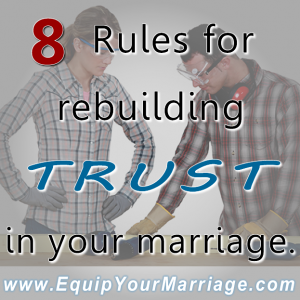 Through our renewal process and that of others, we have gleaned eight rules for rebuilding trust in your marriage. Many of these rules apply equally to both parties, while others are specific to the spouse that is working to rebuild the trust (the trust healer) or the spouse that is learning to trust again (the hurting spouse). Be patient (both of you) – There is no timetable for rebuilding trust. Forgiveness and trust are very personal matters and require a sufficient and unknown amount of time to accomplish. Don’t rush this process. Be open (both of you) – Communicate early (before a problem can escalate) and often (as frequently as an issue occurs). Share your hearts with one another and be vulnerable in expressing your doubts and fears. Be reliable (trust healer) – Under-promise and over-deliver. Don’t make hasty, unrealistic commitments. Instead, let your word be your bond and overwhelm your spouse with your consistency and predictability. Be humble (trust healer) – Pride is the enemy of trust. You must empty yourself of ego and be willing to take any measures necessary to heal the brokenness (formal apologies, schedule changes, job changes, routine changes, etc.). Be receptive (hurting spouse) – You must be receptive to the work that God wants to do in your heart. You also need to be open to receiving love from your spouse and accept his or her efforts to demonstrate trustworthiness. Be understanding (trust healer) – Recognize that your spouse is hurt and those wounds will take time to heal. Throughout the healing process, be prepared to provide constant reassurance. Furthermore, the healing process may go in cycles. There will be good days and bad days, but be compassionate and understanding throughout. Be courageous (both of you) – It is tempting to give into fear and doubt, to assume that one or both of your will break the trust again. It is tempting to believe that the outlook is hopeless. Resist all of this negativity. Be optimistic and courageous. Be expectant (both of you) – Expect God to reveal Himself powerfully. Put your faith in Him and expect that He will meet both of you more than half-way. You aren’t in this alone. The God of Heaven is in your corner and will bless your marriage with the peace and understanding you need to re-establish confidence. Once trust has been broken, it is difficult – but not impossible – to restore. As Jesus said, “With God all things are possible” (Matt 19:26). Once trust has been broken by one or both of you, you’ll find yourselves caught in a colossal “catch-22” scenario. On the one hand, trust has been broken and is in desperate need of restoration. On the other hand, the primary means of rebuilding trust is to use words. When your words no longer carry weight, how can you possibly use them to repair the damaged trust? As I discussed in a previous post, when you realize that talk is cheap, you must resort to demonstrating your love and commitment through action. Actions elegantly and clearly express your heart. By their very nature, they cannot lie. Sacrificial love can be demonstrated daily. Honor can be given through your actions. Day by day and week by week trust can be rebuild through acts of love, honor, and sacrifice. In time, words can once again regain power. But that must be earned. It breaks my heart that you marriage is in need of renewal. Loss of trust is devastating and rebuilding that trust is a very hard road. But take heart, because it’s worth it. Your marriage can be made new again. Like scar tissue forming over a wound, the end result might be messy but it will be stronger than it was before. Marriage renewal isn’t just about surviving, but about thriving. Tammy and I have never been so close or felt so hopeful about the road ahead. The bond of trust can be rebuilt in your marriage, too. Your best days are together are yet to come. God makes beauty out of ashes. Tags: healing process, marriage renewal, power of words, second chances	. Posted on June 17, 2014 by Kyle Gabhart Posted in Marriage Booster, Our Story	. When Gary Chapman released his book, The Five Love Languages, it revolutionized how we think and talk about relationships. The concept of a “love language” quickly resonated with couples, pastors, and counselors around the globe. Over nearly two decades since the release of that seminal book, discussing your own love language and your spouse’s language has become common place. Unfortunately, the discussion surrounding love languages has tended to veer toward selfish indulgence, rather than unconditional acceptance. 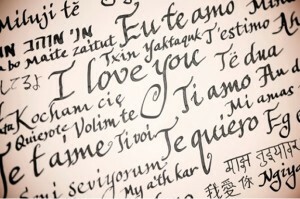 What we learn through the lens of love languages is that we experience love differently. While working hard for the family might be an expression of love for one person (act of service), it may not resonate with a spouse that primarily experiences love verbally (words of affirmation). Thus, it is important I learn to speak love in a way that my wife understands. This is superb insight, but it has a tendency to put the emphasis upon adapting ourselves to meet each others needs. This misses the mark. As important as it is to express love in a way that your husband or wife can understand, it is more important that you practice the universal love language. We each speak love a bit differently. Love is experienced as a combination of the five languages, with a strong preference for one or two. But there is a universal language of love that transcends all five. Grace. Throughout God’s love story with the nation of Israel, there is a consistent thread of love – His grace. From the parables of Jesus to the conversion of Paul, a common chorus of love rings out – His grace. Gracious love delivered Israel repeatedly from their enemies. Gracious love forgave Peter when he denied Christ three times. Gracious love led Jesus to the cross to buy your freedom. You might lean toward the love language of affection or quality time. Your mate might fluently speak words of affirmation or effortlessly perform acts of service. But the universal love language that we all understand…is grace. The concept of a love language isn’t just about learning to love each other better. It’s also about graciously accepting your mate when you don’t feel loved. Affection is my primary love language. I am well-known for my bear hugs and I have raised my children to be very comfortable with giving and receiving affection. Tammy, on the other hand, is not nearly as fluent in the language of affection. During Marriage 1.0 (our relationship prior to The Fall), this language gap was a significant source of friction for us. While she was constantly demonstrating love through acts of service and quality time, none of that felt like love to me. As God has redeemed our relationship in Marriage 2.0, what has emerged from the ashes is a bond rooted in grace. My wife diligently works to speak my language of affection, but she doesn’t always hit the mark. Likewise, I fall short in speaking her language of quality time and words of affirmation. What we have learned through the process of healing and marriage renewal is that the gap between my expression of love and her expression of love is filled by the universal language of grace. Your mate fails to affectionately love you – give grace. You are longing to hear words of affirmation from your spouse – give grace. Time pressures rob you two of quality time together – give grace. It’s been a while since you’ve received loving gifts – give grace. Your mate has fallen short in demonstrating love through acts of service – give grace. Grace is a balm for the heart, purely expressing love when words and actions fail to suffice. I’m not suggesting that you settle for a loveless relationship. 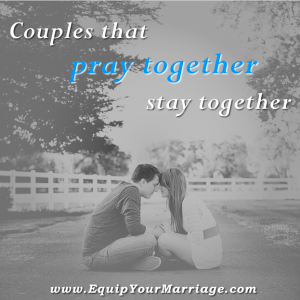 Communicate openly with your spouse. Freely share with each other how you most clearly experience love and then work hard to meet each other’s needs. But realize that you each will short of demonstrating that love consistently. When that happens, avoid the temptation to feel bitterness or keep some sort of ridiculous ledger of loving deposits in your mind. Instead, fill the void you experience with the grace and love that you have so freely received from your Heavenly Father. Your mate deserves no less. Tags: acts of service, affection, communication, gifts, marriage renewal, quality time, unconditional love, words of affirmation	. Posted on June 6, 2014 by Kyle Gabhart Posted in Marriage Booster	. 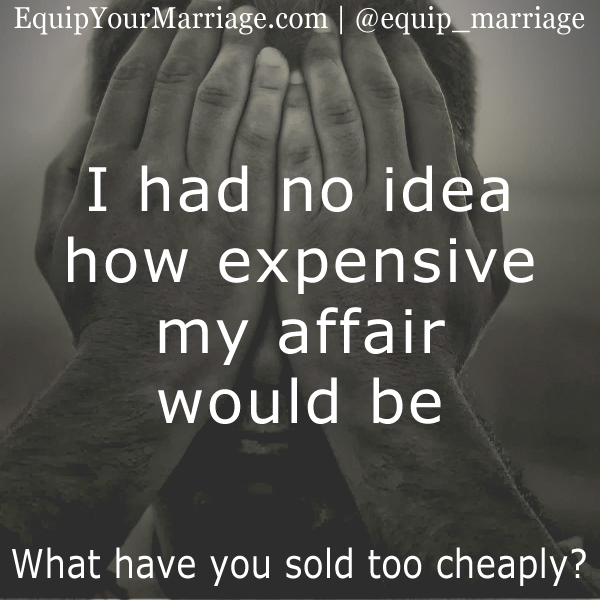 Some marriages are confronted head-on with an obvious and devastating conflict, creating a crisis situation. But many marriages erode from within, fueled by debilitating lies. These lies are rooted in ignorance, selfishness, and fear. Assumptions about your mate and his or her intentions can produce bitterness and frustration in your heart. Left unchecked, they will rob you of joy and erode your marital bond. But for lie, there is a corresponding and liberating truth capable of sparking a marriage renewal. Your internal dialogue shapes your heart and actions. Can you relate to any of these thoughts? Your spouse doesn’t care about you or your needs – Seeds of bitterness are in your heart. Some relationships just aren’t meant to work out – Doubt creeps into your mind. There is too much pain and bitterness to renew your marriage – Defeat overwhelms your spirit. Making a fresh start with someone else would be easier – A glimmer of false hope entices your imagination. If your spouse would change, then everything would be better – Self-centeredness blinds you to the real problems. Bitterness, doubt, defeat, false hope and self-centeredness will exchange your gentleness for gruffness. Overtime, a wedge can be driven between your hearts and a widening gap appear in your relationship. The lies that you rehearse in your mind, must be counteracted with truth. Consider the following statements of truth about your relationship. You and your spouse are both children of God – Identity comforts your heart. 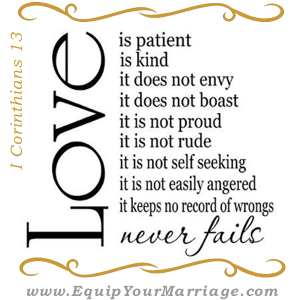 Your marriage can be renewed and refreshed – Hope resolves doubt. God chose your mate as a gift for you – Thankfulness refreshes your spirit. Your marriage’s success has a divine purpose – Purpose and impact expand the scope of your imagination. God can save any marriage – He changes hearts and restores lives. By shifting your attention from a horizontal focus (my needs, my problems, my ego) toward a vertical focus (His plan, His purpose, His timing), hope is restored. Choice 2: Assume the best about my mate and embrace the truth of God’s goodness, marriage’s value, and the hope and power of marriage renewal. Truth sets you free from the lies (John 8:31-32), equipping you to pursue marriage renewal with vigor. Tags: healing process, marriage renewal	. Posted on May 28, 2014 by Kyle Gabhart Posted in Our Story	. When my wife and I first met, I was attracted to her personality. I loved her outlook on life and I loved the way that she made me feel when I was with her. I was drawn to her tender heart, enchanted by her great sense of humor, and of course magnetized by our chemistry. I grew to love her based upon these amazing qualities and the guidance of my wise Heavenly Father. At some point in those first several months, a change occurred. I don’t know when it happened exactly, but my feelings for Tammy matured into an unconditional love. I ceased to care for her based upon how I felt when I was around her. Instead, I chose to love her for who she is and for the special place in my heart that she had taken up residence. Within a couple years, the pressures of blending a family and fueling a career began to take their toll on our lives. Stress robbed us of quality time, intimacy, and peace. We still loved each other, but the warm cloak of closeness and tenderness we once enjoyed had become threadbare. An overall selfishness and busyness overshadowed our home. Did we love each other? Absolutely! We never stopped loving each other. Was love experienced? Was it FELT? Intermittently. Our love for one another was still unconditional, but our demonstration of that love had become very conditional. We handed out loving deposits as if they were a scarce resource that needed to be hoarded. Acts of love and kindness were exchanged based upon mood, stress, and the relative degree of tension or peace in our home. Our unconditional love was held hostage and sparingly demonstrated by self-absorbed, conditional hearts. For those familiar with our story, things got worse before they got better. 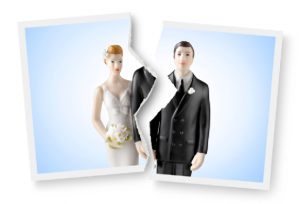 We came to the brink of divorce before recommitting to God, each other, and our family. A critical part of that renewal involved learning to demonstrate love without boundaries, rules, or conditions. Early in our renewal process, we attended a weekend marriage conference from Intimate Life Ministries. We learned so much that weekend and truly grew as a couple. One of the exercises walks you through a visualization of seeing your mate as a child of God rather than as your spouse. This was a profound and life-altering experience for us both. 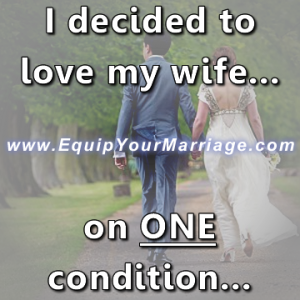 In doing so, I learned to love my wife — on one condition. Loving unconditionally is hard. Some days you just don’t feel loving toward your spouse at all. The epiphany comes when you stop attaching your love to how you feel. Feelings are capricious and unpredictable. My wife’s identity in Christ, on the other hand, is constant. I love my wife because He loved her first. The one and only condition for my love is that she is a unique creation of my loving Heavenly Father. That identity makes her lovable. That relationship makes her worthy. God knew her before she was born (Psalm 139:13). Before she had a belly button, God had a purpose for her life (Jeremiah 1:5; 29:11). She was God’s child before she was my wife. The single and sufficient condition for my love, is that she is His daughter. She deserved love and honor long before I ever proposed. It just took me a few years to wake up and realize it. Tags: intimacy, love and respect, marriage renewal, second chances, unconditional love	. Posted on May 19, 2014 by Kyle Gabhart Posted in Marriage Booster, Our Story	. As children we wrestled with the concept of truth, relying upon the almighty promise. Anyone could say they would do something, but did they PROMISE? Did they ‘pinky swear’? Or how about: “…cross my heart, hope to die, stick a needle in my eye.” We would go to great lengths as children to re-enforce the truth of what we were saying with some sort of linguistic overture. But what happens when that trust in words has been broken? Language is powerful. With it we can communicate thoughts, feelings, and intentions. We can convey knowledge, or reveal ignorance. Through language we can build up, or we can destroy. I wrote previously about the power of words in relationships (Sticks and Stones). You try to express how you are feeling, but it comes out wrong, perhaps hurting your spouse. In a moment of frustration you carelessly launch a volley of painful words at your mate. You construct a web of lies with words in order to manipulate the relationship or hide your sin. When words fail us, we find ourselves in a predicament. To right a wrong, we tend to rely upon language. To heal a hurt, we typically turn to conversation. To rebuild trust, we often make promises about what we will or won’t do in the future. But if your words have resulted in pain for your spouse. How can you possibly repair the relationship? When Tammy and I began to rebuild our own relationship, we quickly ran into a quandary. During marriage 1.0 (what Tammy and I refer to as the early, selfish, skewed version of our relationship) I had made a slew of commitments to Tammy. I told her that I would always honor her. I told her that I would never leave her. I told her that our family was a priority for me. I told her that I would keep her heart safe and protect her. But I violated her trust and replaced those commitments with an internal commitment to look out for myself and no one else. My words had failed me because they no longer carried any weight with my beloved. As we began to build marriage 2.0 (our new, God-centered relationship), I found it very difficult to convince Tammy that things would truly be different. She didn’t trust me, and I didn’t blame her. So what do you do when your words carry no weight and yet you need to reassure your mate that the path of your new life together will be different? While praying over this, the Lord brought me a very simple and profound message – “You show her that you love her. 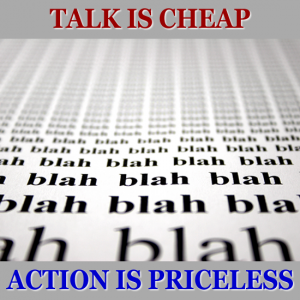 Talk is cheap, but actions speak louder than words. Best of all, actions never lie.” It was simple, and yet so profound. If Tammy couldn’t trust the things I said, she could learn to trust me by my behavior. Where words had failed me, my patient and loving actions could knit her heart and her trust back together, little by little. Talk is cheap. Action is priceless. Throughout our renewal process, Tammy would repeatedly have doubts and fears crop up. This is natural, because as I have previously written, wounds heal crooked. Each time that Tammy was plagued with doubts about the things I would say and the commitments I would repeatedly make, I pointed her toward my actions to offer reassurance. Am I behaving in a loving manner? Do you see me putting your needs and our family’s needs first? When I engage you, do you experience love and respect? You see, not only are words tricky, but our emotions can get the best of us. We can get carried away with doubt, fear, and resentment from years of pain and neglect. So how can we sort it out and see what is true and what is false? The Bible says that you can identify a true heart vs a deceitful heart by looking at its ‘fruit’ (Matthew 7:16-18). So look at your mate’s actions and see if they reflect fruit from a loving heart (I Corinthians 13) and a soul devoted to becoming more Christ-like. Words can fail you, but actions are clear and incapable of deceit. If you find that it is difficult to rely upon words when renewing and refreshing your marriage, turn towards the power and clarity of action. Instead of promising or swearing or sticking needles in your eye, demonstrate your love through the honor and care you bestow upon your mate. Serve your spouse daily with a selfless, authentic love. Your consistent acts of genuine love and service will resonate more clearly and effectively than any speech could ever hope to accomplish. Words come from the head, but behavior comes from the heart. Tags: communication, healing process, love and respect, marriage renewal, power of words	.